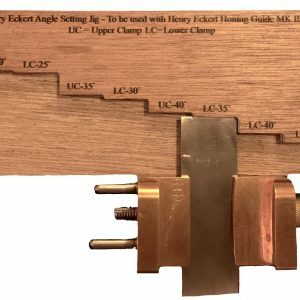 The Henry Eckert Honing Guide is solid hand cast white bronze, marine grade stainless steel & brass. It is based on the design principals of the no longer produced Eclipse guide. Many have ‘copied’ this guide but quality and performance has suffered in the process. 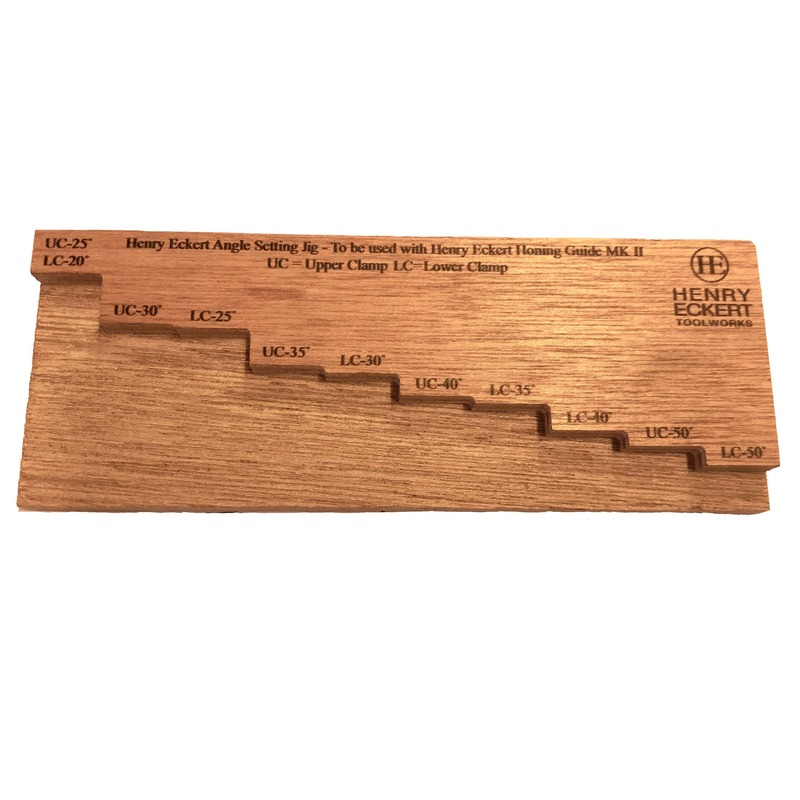 We have always been a great supporter of the simplicity and efficiency of the Eclipse jig, our aim is to make blade sharpening very simple and very successful for the woodworker. The HE Honing Guide is cast in White Bronze. It has CNC machined jaws, matched in pairs. The reference points ensure the blade or chisel you are sharpening is flat on the stone and square to the rolling bearing. The bearing is kept to 12mm to allow weight shifting when honing and hence blade rounding when required. We use only marine grade stainless steel for the threaded rods & bearing to limit the damage the water / grit environment it is exposed to can cause. A sintered bronze bush is used inside the stainless bearing to allow smooth operation and resistance to corrosion. The upper jaws that accept plane blades are ‘dovetailed’ to ensure the blade is pushed down flat and square. The lower chisel jaws are the same in reverse, that is, on clamping, the small plane blade or chisel is pushed up flat against the jig to keep it straight and square. 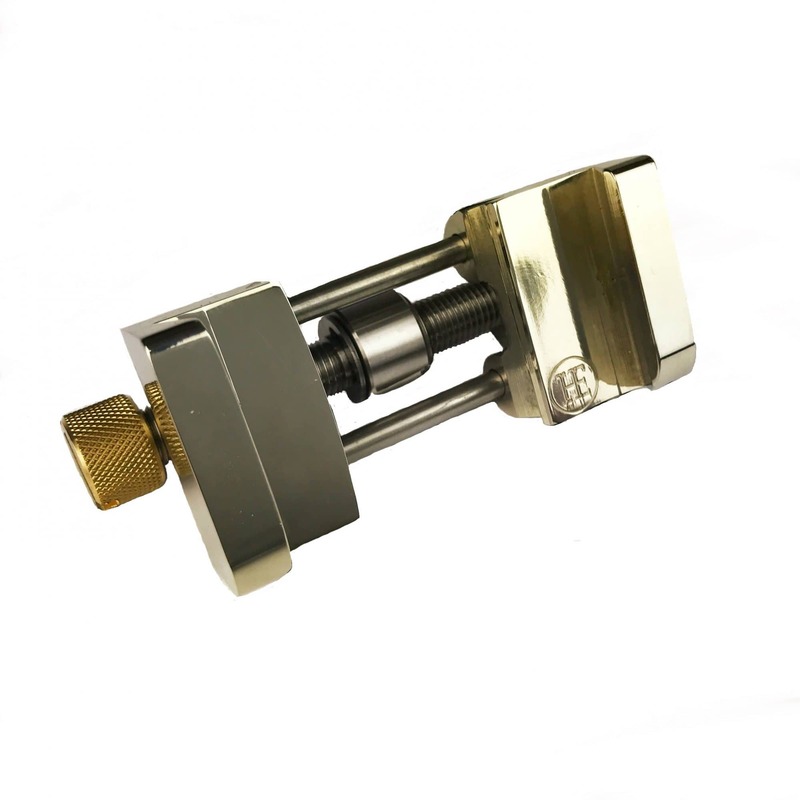 The knurled brass knob is wide giving excellent finger purchase, combined with the jaws machining, it is often the case that finger tight is enough to secure the blade without the use of screwdriver to tighten it. Clearances allow sharpening from 20° up to 50°.